As you age, it gets more and more important to look after your hair. While you may take it for granted in your younger years, hair begins to thin and loose its lustre as a natural part of the aging process, so if you want to keep your locks thick and shiny then you need to pay them some attention. The crux of healthy hair is a healthy diet. Like the rest of your body, it feeds off nutrients from the food you eat so if you are eating poorly, your hair will suffer. Eating a healthy and balanced diet is good for your all round health but eating food rich in antioxidants, vitamin B, iron, zinc, protein, silica and calcium will give your hair a helping hand to grow thick and healthily. Even with the best of diets, hair thinning and hair loss is a natural part of aging that is hard to avoid. 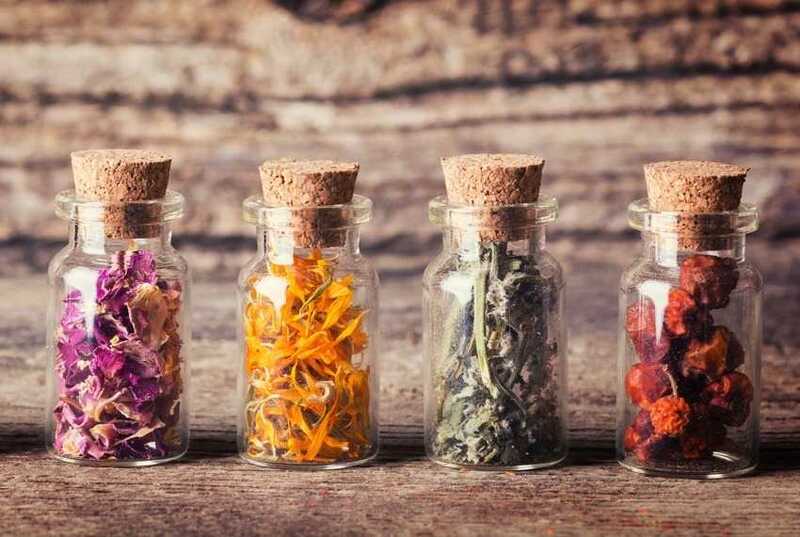 There are numerous natural remedies that can boost hair health, but as you season your veg, or sip your herbal tea, you may be stunned to find you could be using one of four herbs you may never have imagined that can keep your hair thick and glossy. You may previously have kept this herb confined to the kitchen but the magnesium rich basil is a relatively underestimated and overlooked mineral which can boost hundreds of the chemical process which occur daily within the body. When applied to your scalp in the form of an herbal rinse, basil can help strengthen the hair from the root. It also helps to reduce inflammation on the scalp as well as improve circulation within the hair follicles, helping to stimulate hair growth. Lavender has been used for centuries to help soothe and calm, reliving headaches and stress but it can also be used to keep hair healthy. Lavender oil is a powerful anti-inflammatory as well as being an anti-septic and anti-microbial. When massaged into the scalp, lavender oil helps to boost circulating and stimulate hair growth as well as balancing the oils naturally produced on the scalp. As an added bonus, it also works as a repellent for lice, tics, mosquitos and fleas. Liquorice root can be made into a very effective root cleanser by simmering in water until the roots steep. Glycosides, triterpene saponins, and flavonoids are found naturally in liquorice root and when applied to the scalp they nourish the area and the hair root. Liquorice root cleanses the scalp and heals damaged caused by skin conditions such as eczema, fungal infections and damaged caused by chemicals found in hair products. Not just good for toasting around the campfire of adding to hot chocolate! The root of the common marshmallow, or to give it its proper name Althea officinalis, contain lauric acid which is the fatty chain found in coconut milk which gives it its long list of health benefits. Marshmallow root can also be used as an effective detangler as it is rich in mucilage and can be boiled and added to your natural conditioner for an easy way to boost your hair health. Now you know how these herbs can help your hair, it may be time to consider moving the spice rack out of the kitchen and into the shower!